CALGARY, AB – Village Brewery has announced the release of a new seasonal beer that honours on of Calgary’s best known athletes and philanthropists, legendary wrestler Bret “The Hitman” Hart. Like a sharpshooter, the Hitman takes you by surprise. Unlike his contenders, he’s not bitter. Instead, this champion has a subtle bite; a citrus tang of orange and lemon tag teamed with hibiscus and fragrant hops. It catches you off guard. Before you know it, the Hitman has a hold on you. 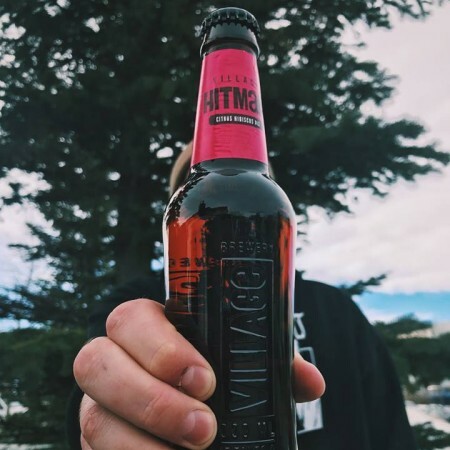 The Village Hitman will be available the Village Brewery retail store and select beer retailers in Alberta through the spring and summer months.